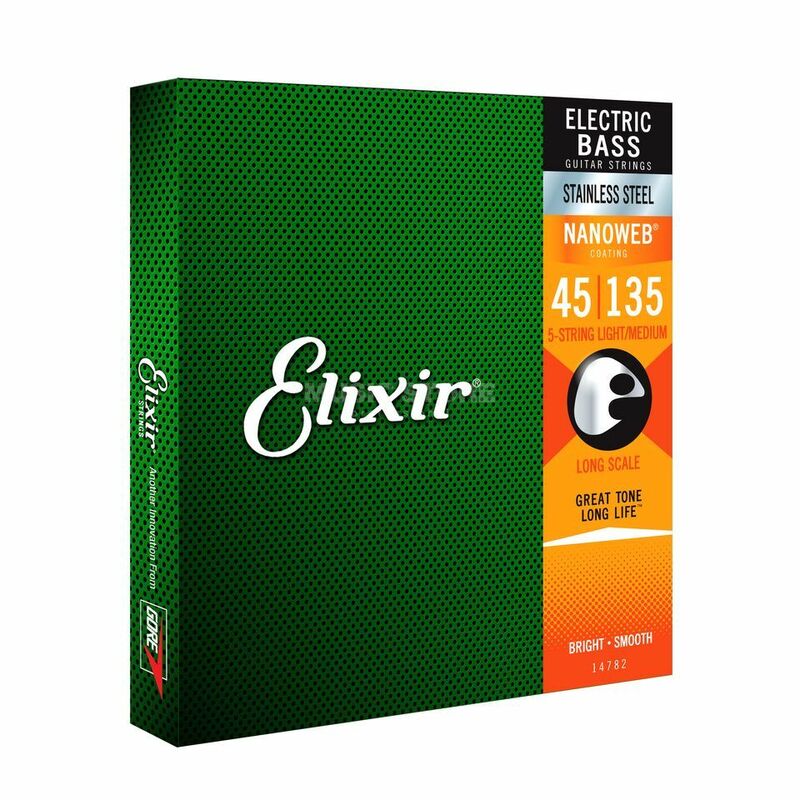 The Elixir 14782 Bass Guitar Strings is a set of 5-string bass guitar strings, made from a stainless steel with a NanoWeb coating, light gauge and medium long scale, from .045-.135. Developed through field trials and feedback from thousands of bassists worldwide, the Elixir Strings bass range meets the demand of modern players. Stainless Steel Bass Guitar Strings offer extended tone life and improved NanoWeb Coating. The entire line of Elixir Strings round wound bass strings features the latest NanoWeb Coating, made exclusively for bass. When the gigging gets tough, bass players can rely on unbeatable durability and response during hard-hitting attacks, while the superior grip won’t let you down in the heat of the action. With playing experience also benefiting from optimised string tension profiles, flexibility and feel, Elixir Strings set the standard for bass.